HO AHM P.&L.E. 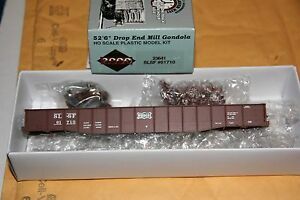 43245 5431I Gravel Gondola Car W Box New York Central! Walthers HO Kit #932-3807 Chicago & North Western (C&NW) 40' Gondola NIB NOS! Life- Like Walthers PK2 HO Nickle Plate Road 52' Gondola,Kit w Gear Load, NIB. Life- Like PK2 HO Colorado & Southern 52' Gondola,Metal Wheels, K-Ds, Exc.